(79) Photos Printable Brochure Apply For Credit Text Us About This Vehicle! Fun to Drive, fully restored, 1965 TR4 Convertible. Professionally painted back to the beautiful silver with black vinyl interior, 60 spoke knock off wire wheels, and still retains it's original engine and desirable 4-speed Overdrive gearbox. The car's VIN number has an "O" suffix, proving this was an original factory built Overdrive car. The engine compartment also retains body color matched paintwork. The bodywork on the car is straight, gapping looks great and The panels open and shut fine. Underneath, the chassis looks great and very solid. The car's interior also looks amazing and still retains it's original styling. This is a true and accurate 81k, original mile car. The bumpers, gas tank, wiring harness and top were all replaced at time of restoration. Mechanically, the engine starts easily, has great oil pressure, zero smoke, and no noises. The car drives very easy, it goes straight down the road, shifts smooth and stops as it should. The car has correct VIN plate, body tag and correctly sequenced engine numbers. 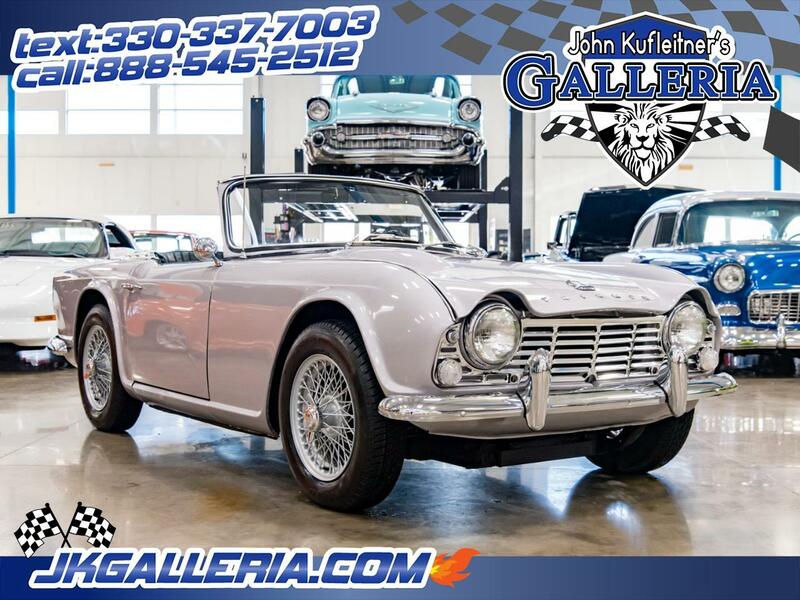 If you are looking for a fun car to run around town in, drive down the coast with style or just looking for a great investment piece, this convertible Triumph is for you! Message: Thought you might be interested in this 1965 Triumph TR4.